The National Cancer Institute reports an estimated 1.5 million people were diagnosed with some form of cancer in 2010 and the disease was responsible for more than 500,000 deaths that year. Symptoms may vary, depending on the organs affected, and treatment generally involves chemotherapy, radiation therapy and surgery. Certain natural foods such as lemongrass may also help manage the condition. However, don't take lemongrass or other supplements without first consulting your doctor. Lemongrass, or Cymbopogon citratus, is a tall, perennial aromatic grass, native to tropical Asia. The fresh and dried leaves of the plant contain volatile oils made up of compounds such as citral and myrcene that are responsible for its immense medicinal value. The infusions of the leaves have been used traditionally to treat a variety of conditions including inflammation, fungal infections, insomnia and high blood pressure, reports the Memorial Sloan-Kettering Cancer Center. The recommended dose will vary, based on your age and overall health; your doctor can determine what dosage is right for you. In addition, as a powerful antioxidant, lemongrass protects cells against the harmful effects of unstable free radicals, which interact with the DNA and proteins of cells and damage them, leading to conditions such as cancer. Lemongrass extracts inhibit the early phases of liver cancer in laboratory animals and may help slow progression of the disease, according to a study published in the September 2002 journal Cancer Letters. Another study in the October 2009 journal Fundamental and Clinical Pharmacology reveals that citral found in the essential oils of lemongrass inhibits the growth of breast cancer cells in the laboratory and induces apoptosis, or the programmed cell death, of the cancer cells. A chemical compound called isointermedeol, isolated from some lemongrass species, also induces the apoptosis of cancer cells, reports Sloan-Kettering. However, these benefits are only proven in laboratory studies, and more research and clinical trials are needed. Lemongrass is generally safe to use, although side effects such as dizziness, dry mouth, increased appetite and increased urination have been reported occasionally. 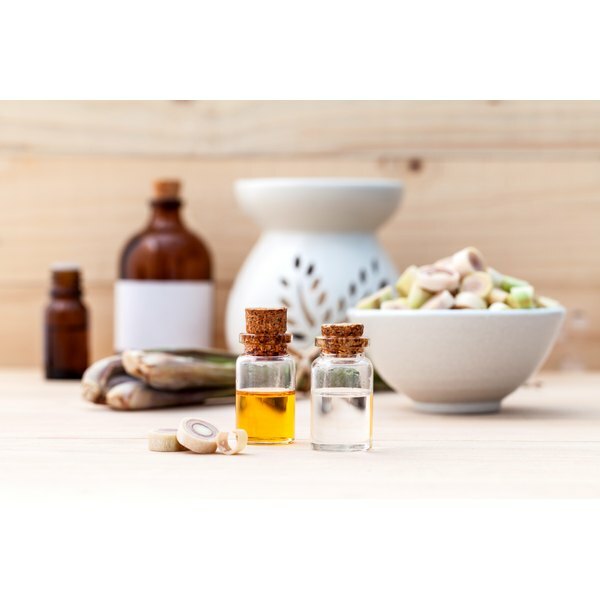 Lemongrass may also interfere with certain cancer medications, and high doses of lemongrass essential oils may damage the stomach and liver mucosal lining, warns Sloan-Kettering. Taking lemongrass during pregnancy may lead to birth defects. The U.S. Food and Drug Administration does not regulate production and distribution of lemongrass supplements; make sure the product you intend to use has been tested for safety and efficacy. Find out more about the manufacturer of the supplement, and look for U.S. Pharmacopeial Convention logo indicating it has passed supplement safety tests. Talk to your doctor before using lemongrass to prevent or treat cancer.